Why go? The Greek islands are renowned for their clear seas and white sandy beaches, but with its unspoilt beauty, the region of Halkidiki on the northern coast of the mainland is equally stunning. When? Temperatures begin reaching 20 degrees in the spring but it’s at its hottest in July, August and September. Stay at: Located next to its own private beach, five-star hotel and spa Ikos Oceania looks straight out onto the Mediterranean sea. The luxury resort might be all-inclusive, but they’ve totally re-evaluated this concept with lavish, modern rooms and a selection of high-end restaurants. It really is the ultimate in relaxation with the spa’s heated indoor pool, sauna, jacuzzi and ridiculously comfortable loungers. Try a facial, shiatsu massage or if you’re feeling particularly zen – a morning yoga class overlooking the ocean. And if you’re partial to a poolside cocktail, all-day waiter service is also included. Despite its popularity and family-friendly feel, the resort still maintains total serenity. You can choose to upgrade to the Deluxe Collection for larger rooms and an exclusive private pool, but with several others on offer this isn’t a necessity. 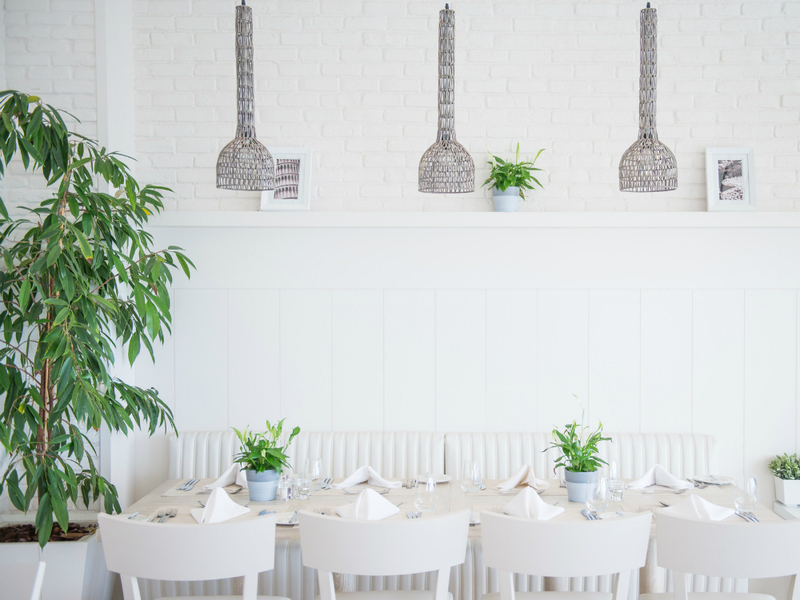 Dine at: Ikos Oceania provides a range of cuisines from authentic Greek to Asian at its four à la carte restaurants. Several menus were designed by award-winning Michelin-starred chefs and the food certainly reflects that. The Italian offering, Fusco, was a particular favourite with its stunning white interiors and sea views. Their unique dine out option means you can visit specially selected local restaurants, too. Eating al fresco in the vibrant, coastal town of Nea Moudania couldn’t feel further from your average all-inclusive. You really must… Visit Nikiti Old Town. This hidden gem is a 30-minute drive from the resort and well worth visiting if you want to soak up a little bit of culture during your stay. Walk the quiet, narrow streets through the historic settlements and drink coffee outside the picturesque cafés. 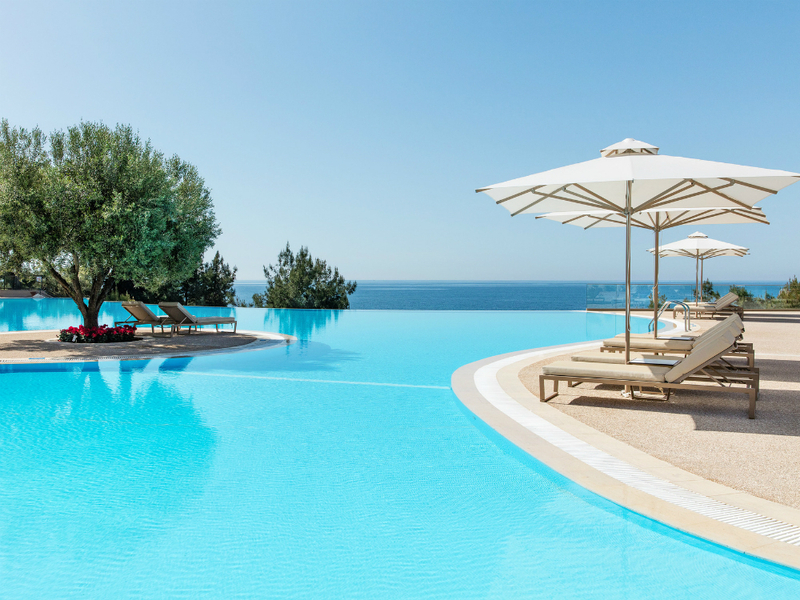 Book now: Classic Collection Holidays (0800 294 9315; classic-collection.co.uk) offers 3 nights/7nights at Ikos Oceania from £659/£977 per person in September. Price based on 2 adults sharing on an ‘Infinite Lifestyle’ all-inclusive basis and includes return flights from London Gatwick (direct flights also available from Stansted and Manchester) and private transfers.